Did you know that the average person is on track to use nearly 30 smartphones over his or her lifetime? That’s a lot of electronic waste. Most of us have at least one smartphone lying around in the house. If this is the case for you, consider recycling your old smartphone so you can have a dash cam on your bicycle or car. The process may be easier than you think! 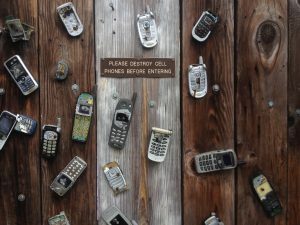 You can usually return electronics to major retailers for recycling, but why not reuse an old cell phone yourself? Recycling your phone will help make a greener world tomorrow. Using a dash cam isn’t only good for the environment—it could be invaluable for your insurance policy as well. If you commute via car you should always record your travel to ensure you can prove that you weren’t at fault when involved in a car crash. Many states don’t allow you to file an insurance claim against another driver unless you weren’t responsible for the crash. If you’re a cyclist you’ll have an even greater need for recorded rides! Popular options are Go Pro or other body cameras, but these options are expensive (and produce even more electronic waste!). Cyclists are commonly blamed for crashes, so having video evidence on your side will make it significantly easier to file an insurance claim. How To Convert Your Phone? Download a smartphone app. These are available for both iPhones and Androids. Some are paid and some are free—read reviews to find one you think suits your needs. Either purchase or make a car mount or bike mount for your phone. If using a dash mount in your car, position it as high as possible so you can get a clear view of the road in front of you. Press play and go! This is the big downside to using a smartphone in lieu of a designated dash cam. You will need to remember to start the app on your phone every time. If your old smartphone has a short battery life, you’ll need to use a phone charger in your car and charge your phone frequently after cycling trips. While using a homemade dash cam isn’t necessarily flawless, it’s a great way to reduce your carbon footprint.